Maya Deren (1917-1961) was a Russian-born American filmmaker, theorist, poet, and photographer working at the forefront of the American avant-garde in the 1940s and 1950s. Influenced by Jean Cocteau and Marcel Duchamp, she is best known for her seminal film Meshes of the Afternoon (1943), a dream-like experiment with time and symbol, looped narrative and provocative imagery, setting the stage for the twentieth-century's groundbreaking aesthetic movements and films. 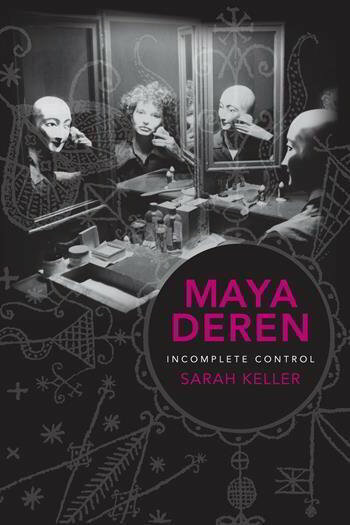 Maya Deren assesses both the filmmaker's completed work and her numerous unfinished projects, arguing Deren's overarching aesthetic is founded on principles of incompletion, contingency, and openness. Combining the contrasting approaches of documentary, experimental, and creative film, Deren created a wholly original experience for film audiences that disrupted the subjectivity of cinema, its standards of continuity, and its dubious facility with promoting categories of realism. This critical retrospective reflects on the development of Deren's career and the productive tensions she initiated that continue to energize film. Sarah Keller is assistant professor of Art and cinema studies at the University of Massachusetts-Boston. She is coeditor, with Jason Paul, of Jean Epstein: Critical Essays and New Translations. Maya Deren was born in Kyiv, that is a capital of Ukraine. Her family lived here in her first year - from 1917 to 1922. During that time in Ukraine fought for its independence and even proclaimed the Ukrainian National Republic. However, russians made offensive, there was news wave of anti-semitism - so Deren`s family was forced to immigrate to the United States. Thanks for your comment. That is the presentation text to the book, so we have just reproduced it as-is.